Whereas with Windows 7 you could slot a DVD into your computer and open it in Windows Media Player, that is no longer the case with Windows 8 and Windows 8 Pro. Although Microsoft might verify the removal of DVD capabilities, features in its operating system, it is true that optical media may suffer the same fate of the VHS tape. There are so many free and paid video playback services out there and here we came up the top 5 best DVD player software for Windows that you will find very efficient and useful. If you're running a Mac computer, please go to "Top 5 Best DVD Player Software for Mac" to get your choice. Arguably, VLC Media Player is the most accepted free and open source DVD player software for playing DVD on Windows (including Windows 8 of course). 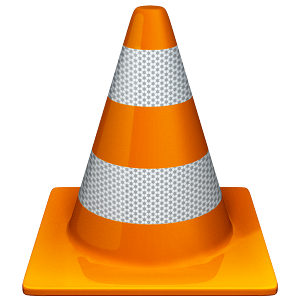 VLC is a free multimedia software that is available for download whenever you need it. In order to play DVD with VLC media player you do not need to have any third party software. All you need is to ensure that your computer has a DVD drive that will enable you insert and view your DVD. Insert the DVD disc to your computer's hard drive. Open VLC and click File > Open Disc. Open dialog box and choose DVD as the disc type. Don't select No DVD menus in case your DVD movies has chapters or subtitles. Click OK in order to save the settings. After your setting is saved wait for some few seconds and your DVD disc will then start to play. After successfully installing this free DVD player software, it will be added to the context menu especially if you are using Windows 8. This way it enables you to click any video file you would like to play on your computer from the context menu. Tips: In fact, there is a overlooked feature in VLC that allows you to rip your DVDs as well. See How to Rip DVD with VLC Media Player. 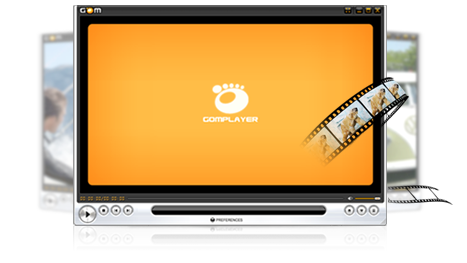 Another popular free DVD player software that will come to your rescue is GOM Media Player. It practically plays any media player that VLC media player is capable of playing. When compared to other DVD players, there is no much difference between them since it works similarly to the other software especially VLC media player. However, many would argue that it offers a clearer picture when viewing DVDs. Nonetheless, it is worth mentioning that despite having a number of insane features that offers you with perfect play back, GOM is not an open source software. Meaning during installation it tries to install bundled crapware (usually VG or Ask toolbar). Therefore, it is important to uncheck the options during the installation process. 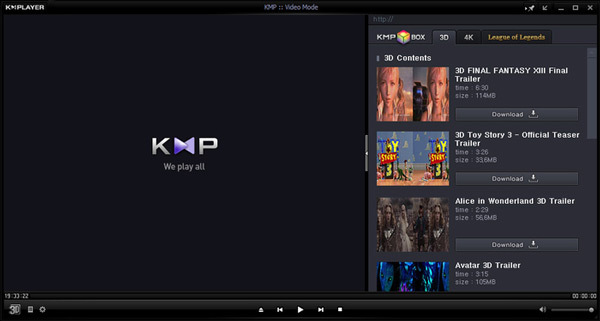 Like VLC media player, KMPlayer is a multipurpose open source DVD player software for playing DVDs on Windows based computers. Just like other software, it contains its own internal codecs making it possible to play virtually every media file available including DVDs. It is one of the lightest DVDs players available in the market. Therefore, it takes little space in your computer making it faster and safer than your normal DVD player does. The reason behind this is that internal Codecs are processed inside of KMPlayer. If you are looking for high quality DVD player software, then PowerDVD will work for you. It comes with a playback feature that enables its DVD functionality. 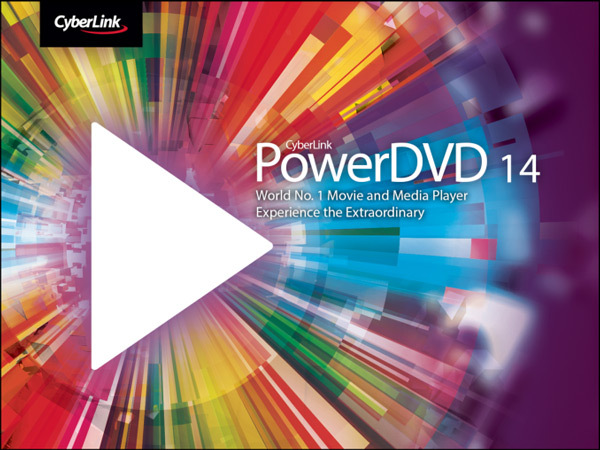 PowerDVD is an all round Windows DVD player that is user friendly and easy to configure. It plays virtually any media that you can think of including DVD. It offers you stunning performance and seamless playback of from your PC. PowerDVD’s unique TrueTheater enhancement offers you sharper detail. What makes PowerDVD stand out among the rest is that it comes with playback of high-def disks (with a compatible drive) in addition the much loved surround sound not to mention power saving modes for your laptop thus ensuring that you enjoy your movies for long. If you are looking for a compatible and free open source DVD player software then XBMC Media Center might be what you have been looking for. This program is worth checking it out since, plays DVDs right out of the box from the main menu something that never comes with other free media players. To crown it all, it comes with a number of options and settings that will enable you to optimize quality playback of DVDs, particularly to your preference thus making the experience fun. This explains its ever-increasing popularity. 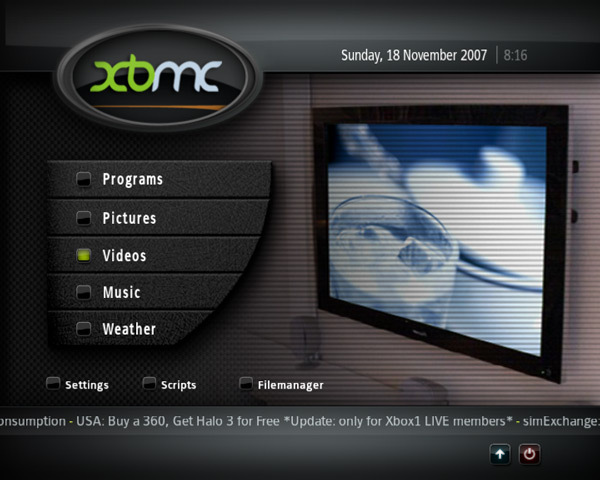 Most of XBMC users have developed a strong relationship with the media player owing to the fact that it offers them with several ways to enjoy their local digital media collection. Want to play DVD, but don't like to install extra media player? Sometimes it can be somehow challenging to notice that despite using the above-mentioned DVD player software you end up with compatibility issues. However, this should not mean that you cannot enjoy watching your DVD. You can use EaseFab DVD Ripper to enhance your experience. EaseFab Windows 8 DVD Ripper is a professional DVD ripper that is capable of converting your DVD to an acceptable file format that is supported by your default media player supported by your computer. It allows you to convert your DVD with a lot of ease thus making the experience fun. Nothing can be compared to the ability to convert your DVD devoid of any obstacle. The most amazing thing with this tool is that you can convert your DVD with just a few clicks your DVD movie without the restriction of DVD players. Here is a detailed guide on how to use EaseFab DVD Ripper to convert DVD to an acceptable file format that is supported by your default media player supported by your computer. 1. Insert the DVD in your drive and then run the program in your computer. 2. Click "Load DVD" button. 3. Select your preferred file format as the output format (for instance MP4) from the drop-down list of "Profile" or select a proper format from the category of iPod, iPhone, iPad or PSP for your multimedia devices. 4. Click the "Convert" button to begin ripping the DVD file to your desired file format.